Thankfully, that’s exactly what a rhinoplasty is designed to do: help transform the nose into a more proportional size and shape. Because of the holistic nature of facial aesthetics, a subtle yet graceful change in the nose can make all the difference. The best surgeons know that there is no singular type of nose that’s considered “attractive;” instead, the most appealing nose is one that’s perfectly balanced when compared to other facial features. Dr. Brian Machida knows this guideline all too well; before becoming board-certified in facial plastic surgery, Dr. Machida was first board-certified in Otolaryngology (Ears, Nose, and Throat Surgery). In his 26-year career, he’s consistently created stunning results with what’s considered to be one of the most intricate and complex facial plastic surgery procedures around. Let’s not forget that the nose is also crucial for our ability to breathe, which is why it’s so important that patients find a surgeon like Dr. Machida who can preserve proper function while creating natural-looking results. Dr. Machida believes that when your consultation goes smoothly, then your procedure will go smoothly. Your consultation will truly set the tone for your procedure; it’s when you and Dr. Machida discuss your concerns about the procedure, it’s where Dr. Machida starts planning your procedure, and more importantly, it’s where you set realistic goals for your rhinoplasty. After arriving in our medical center in the Inland Empire, you’ll start your consultation with our consultant. After a short discussion about the rhinoplasty, you’ll be able to meet Dr. Machida himself. The phrase “measure twice, cut once,” is true for many crafts, but it’s all the more relevant to rhinoplasty. Dr. Machida will thoroughly measure and analyze your nose during the consultation so that he can plan his rhinoplasty in incredible detail and fully customize your procedure. Like all facial plastic surgery procedures performed at Second to Creation, your rhinoplasty will be performed under local anesthesia in our private medical center. Dr. Machida can perform rhinoplasties under local anesthesia because he’s able to complete the procedure with a shorter operating time. That combination of shorter operating times and local anesthesia allows for an easier recovery immediately after the surgery and lowers the procedure’s risk of complications. Dr. Machida also performs closed rhinoplasties, so all the incisions will be made inside the nose. A closed rhinoplasty is ideal for some patients because it allows for an even faster recovery and results in hidden incisions. It also requires an incredible amount of discernment from the surgeon since they need to be able to reshape the nasal structures without seeing them in full view. Once the incisions have been made, Dr. Machida will use a retinue of techniques to reshape the nasal bone and cartilage. A change in one aspect of the nose will often require a concurrent alteration in another part to achieve balance – another reason why Dr. Machida plans each rhinoplasty meticulously. If the patient has a nasal tip that’s downturned (a flaw that often makes the nasal tip look larger), the cartilage will be modified to reduce the severity of the drooping. This technique will also reduce the amount of reduction necessary on the bridge of the nose. If the bridge of the nose is being modified, Dr. Machida can use a graft (a piece of cartilage from the ear or another part of the nose) or implant to help strengthen the structure and prevent collapse. Grafts can also be used to help enhance the nose’s structure and definition. At the end of each rhinoplasty, Dr. Machida will place a small splint on the outside of the nose to reduce swelling and help the nose maintain its new shape. He may also place temporary packs inside the nose for a day or two to help with any bleeding or leakage. Why Choose Dr. Machida for Your Rhinoplasty? “Rhinoplasty” is derived from the German word “rhinoplastik,” meaning “changing the shape of the nose.” What that definition doesn’t convey is the incredible skill and expertise required to tailor each procedure to a patient’s unique face. 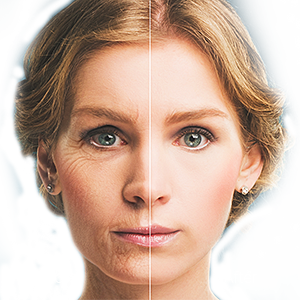 In over 30 years of practice, Dr. Machida performed over 6,000 facelifts and over 10,000 facial aesthetic procedures. Thanks to his decades of experience and his knowledge of facial aesthetics, Dr. Machida can create natural-looking, balanced results time and time again. Don’t settle for anything less than a facial plastic surgery specialist for your rhinoplasty. It’s your nose, after all; you should only rely on someone with the credentials and the proven skill to do it right. More importantly, you should choose a surgeon who goes above and beyond to make sure his patients are heard and respected. Because of their outstanding level of care and their renowned surgeon, the Inland Empire’s Second to Creation is a practice you can truly trust. Contact them online or call 800.303.9541 to schedule a consultation. What Is the Recovery from Rhinoplasty Like? As we’ve mentioned before, Dr. Machida only uses local anesthetics, which is widely considered to be one of the safest ways to perform surgery. It also allows patients to recover without the side effects typically associated with general anesthesia or IV sedation. However, rhinoplasty is still a major surgical procedure, and Dr. Machida highly advises that patients take at least a week to 10 days off from work to recover. Immediately after the surgery, some patients do have a hard time breathing through the nose, but this improves after a couple of days. Other side effects like swelling, bruising, and soreness might take a week to completely dissipate. Some patients experience residual swelling for up to a year, but most of the swelling decreases after a month. By then, you should see most of your rhinoplasty results emerge. Dr. Machida will create personalized post-operative instructions for each patient, and he stresses that following these instructions can help you achieve a powerful recovery. You’ll be asked to follow a regular schedule of in-office visits so that Dr. Machida can monitor your recovery. No, rhinoplasty is not painful. Many of our patients experience minor discomfort after the surgery, but they’ll have some pain medication that’s been prescribed by Dr. Machida to help alleviate it. By and large, many of our patients switch to over-the-counter medication after a few days. Will My Health Insurance Cover Rhinoplasty? Most rhinoplasties are done for cosmetic purposes, so they will not be covered by insurance. If your nose has been fractured due to a recent trauma or your breathing is somehow obstructed, then your rhinoplasty may be covered. Regardless of what type of functional problems you may have, Dr. Machida only focuses on cosmetic rhinoplasties, and he does not accept insurance for his nasal surgeries. However, Dr. Machida can treat breathing issues you may have with his cosmetic surgery. Dr. Machida can improve not just your appearance, but your quality of life.